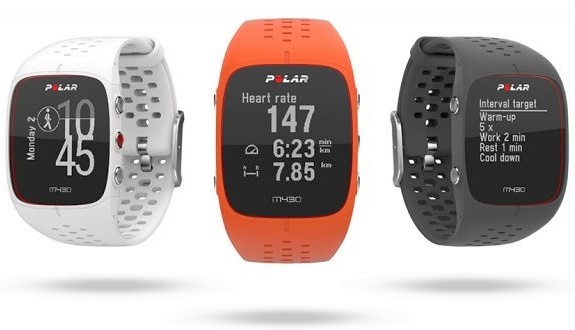 The successor of the popular Polar M400 comes with wrist-based heart rate monitoring, 24/7 activity tracking, as well as an integrated GPS module. Priced at $229 USD, it promises up to 20 days of autonomy with activity tracking enabled and up to 30 hours while using low-power GPS. Polar has just unveiled the successor of the award-winning M400 connected watch. Dubbed Polar M430, this new GPS running watch is waterproof and has been designed "for serious, goal-driven runners." Polar M430 will go on pre-order later this month, priced at $229 USD/€229 EUR. The three color options available are orange, dark gray, and white. According to Polar's official blog, shipments are scheduled to begin in May. We will get back to it as soon that happens, since some details might still be missing at this stage.